THAT IS NOT TRUE!!!!!!!! I am a loud sneezer and I hate attention. I try to quiet it down, cuz this one guy always says bless you, then I always have to say thank you. Ugh. Yeah, uh no. 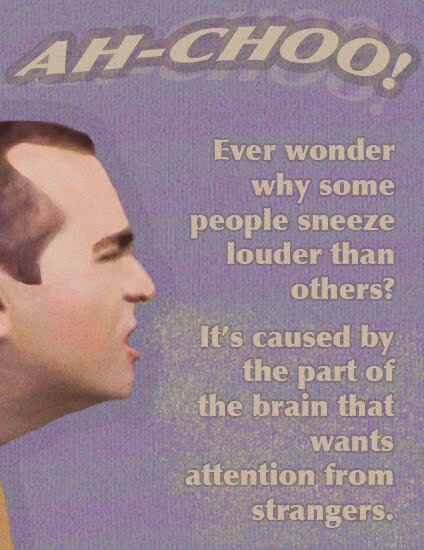 You can control your sneezes if you really want to. Next time you go to sneeze just don't engage your vocal cords. Problem solved Miss Loud Sneezer.